Right, allow me to dispense with the pleasantries here. If you are reading this review you are probably already interested in picking up Atari Vault- a collection of 100 Classic Atari games. So instead of a regular review format, what if we do like a FAQ style review and the do a summary at the bottom with a score judging the collection as a whole? Deal? Ok, then, let’s give this a bash. Atari Vault, what is this exactly? Well, Atari Vault is a collection of 100 Classic Atari games. 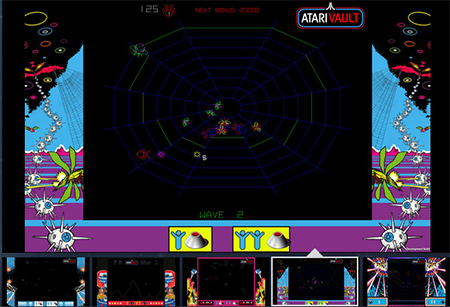 The game is developed by Code Mystics who have worked with the same collection of games for the 2010 DS releases Atari Greatest Hits Vol.1 and 2, as well as the iOS and Android ports. They have also been involved in other classic collections such as Activision Anthology and the Rare Replay collection. 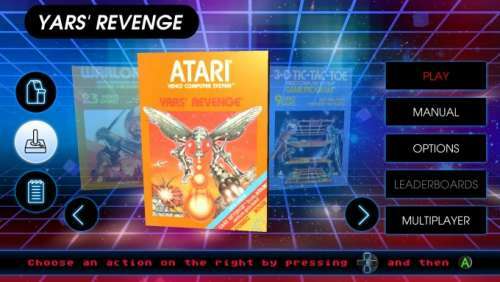 Atari Vault runs the original games’ Rom image wrapped into an emulator made with the Unity 5 game engine. What games does Atari Vault come with? The 100 games are split in 18 Arcade games and 82 Atari 2600 games. Can you use the old Atari Controllers to play the games? Sadly not, you can play the games using a mouse and keyboard, game controller and steam controller. Local multiplayer is as simple as either plugging in an extra controller or nicking the keyboard. 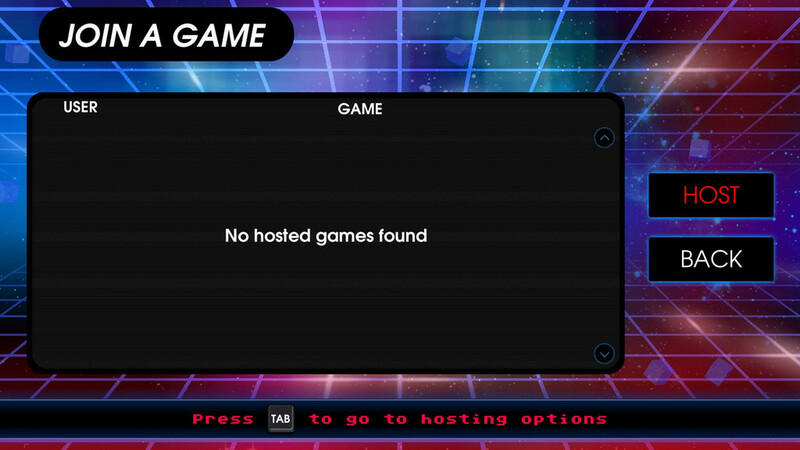 There is also online multiplayer available for the applicable games although we weren’t able to test it. This all sounds good, so what did you think of it? Well, selection wise on the 2600 games, there is quite a lot to keep you going here. Classics like Asteroids, Missile Command and Centipede are great whilst games like Concentration, 3D Tic-Tac-Toe and Hangman show you that even the classic consoles had their fair share of shovelware. There are also notable omissions from the collection presumably due to the fact that it is focused purely on games made by Atari themselves. Pitfall, Kaboom! And Keystone Kapers from Activision are amongst the more popular games not in this collection. These omissions are rather strange considering Code Mystics have ported them before into the 45 game collection called the Activision Anthology. The mobile versions of Activision Anthology are still available to buy so you would assume Code Mystics still have the rights, which make you wonder if this will be add on content in the future perhaps. Film tie-ins such as E.T. and Superman are also missing but understandable due to licences expiring and other red tape. The bottom line here is that you will probably only want to play about half of the 2600 games in this collection. And whilst getting 41 classic games and 41 filler games is still good bang for your buck, you can’t help but feel that the collection is somewhat lacking, especially if you have this collection in other formats. The presentation of the whole package is rather cool as well. All of the 2600 games have their accompanying manuals as well as a digital representation of the game boxes they would have originally come with. The boxes and manuals have been faithfully reproduced and even come complete with dings, dents and the occasional tear. The Arcade games also have representations of their original cabinets, including the cocktail variants where applicable. 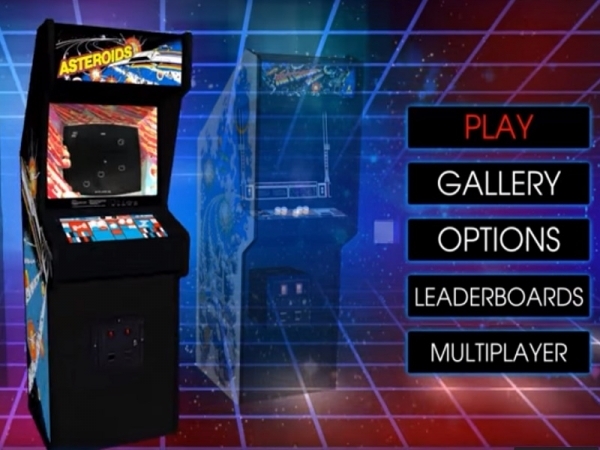 The Arcade games have been ported and the controls mapped very well. All of the games played well on my 360 wired controller with no cause for concern. Arcade Asteroids is still a fun game whilst Lunar Lander is still one of the most difficult and addictive games ever made. The games have been transferred over to Steam very well and it was a pleasure to play them. The 2600 games on the other hand are a bit of a mixed bag. Games using the joystick controller have been ported over well and control exactly like you remember them. The paddle controller games seem to be an issue when it comes to control. 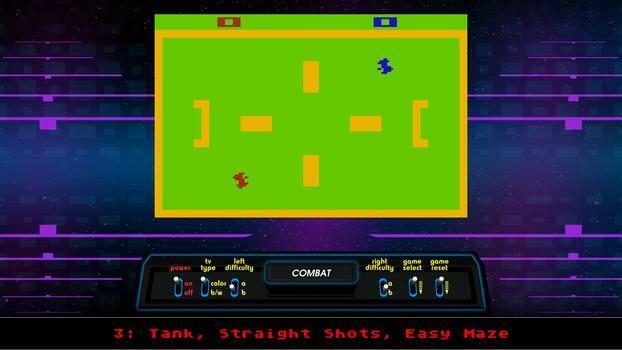 Games like Breakout, Human Cannonball or Warlord where precise movement is needed are very difficult to play well. It’s strange that Code Mystics seem to struggle to map these controls to a stick controller considering Atari themselves nailed it when they converted Missile Command’s track ball controls to joystick 35 years ago. There are also games that simply do not work. Race, for example, has non-responsive controls so that you can accelerate your vehicle but cannot turn. There are also at least two games – Save Mary and Desert Falcon – that crash the entire program every time you try to run them. The issues surrounding the games in Atari Vault becomes more worrying when you go back to the DS and mobile versions of this collection and discover that they don’t have any of these issues. At the time of writing there was a patch that was released which we hoped would fix any issues but the only thing it seemed to do was mess with the resolution so that the lovely menus and reproduced instruction manuals suffer from horrific sporadic screen tears all over the place. So, It sounds like you’re not recommending this one then? Not at the moment, no. The collection of games itself is rather good. Sure it is missing quite a few seminal games but for £15 you are getting 100 pieces of gaming history in a well presented package. Another one of the issues in recommending Atari Vault is that it adds nothing new to the classic game collection genre apart from now being available on Steam. If you care about the Atari 2600 you will probably have these games from previous collections on either mobile, DS or PS2. 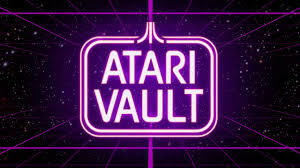 Fixing the current issues and possibly adding more games to the collection – even as DLC – would be a step in the right direction to making Atari Vault a must have for PC gamers. Until then, your Atari classic game itch may be scratched better on other platforms. 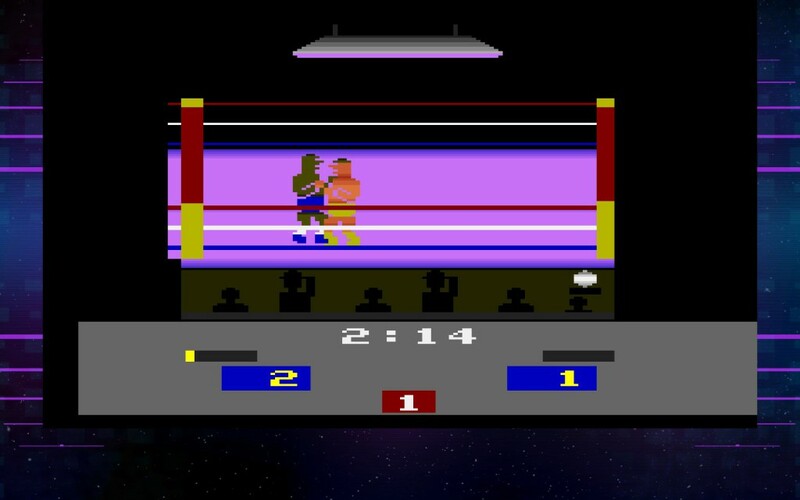 I have to not only agree, but add one VERY derogatory aspect to the Atari Vault (Atari Anthology on Android). There are two versions of this game, one available on the Google Play Store for Android, and the one being reviewed which is the PC version. They are identical, but with one ridiculous caveat. There is absolutely NO reason to require Steam to use the PC version (it is mandatory on the PC). With the current state of PC gaming gearing more and more towards a “service” based ecosystem, the very notion of requiring a service to play games that for oh the last 15 years have been successfully played on emulators such as A2600, MAME, and various earlier PC compilations without a service seems utterly shortsighted and smells of yet another cash grab. And before you say anything to do with the usual arguments of “oh well it was only x price, or the business has to make a profit” both are not only worn to death, but have debunked time after time. As for requiring Steam, its a joke, the online ecosystem is non-existent even with offering to host a game. So again, why was Steam even involved in this venture? It took over half an hour and that is with a Steam account to get the load CD to even work due to the usual Steam does not have enough server space or bandwidth. The Android version is straightforward, loads quickly, and is very fast and does NOT require a “service” to work (not that the online works anyways). Now don’t get me wrong, the games themselves are decent and do work well as advertised for the most part (some controls are poor in the 2600 gaming section) but to be forced to sign up for a Steam or any account to even use this game is ridiculous, short sighted (few if anyone plays classics like this online anymore) and unnecessarily complicated and should never have been done. Steam adds NOTHING to the mix and really if you do not want the service, why are you forced to add it? It seems like just a huge ad campaign for CodeMystics and a way to promote and make you peruse Steam’s rapidly increasing shovelware and garbage like most of the mobile market. In conclusion, would I recommend the games themselves? Absolutely for a bit of nostalgia and retro goodness yes!!! But do yourselves a favor and either get the Android version (Atari Anthology) or look on Amazon or Ebay for older PC anthologies that have the same games (Microsoft Arcade for one), but do NOT require that landfill known as Steam. Valve has really lost its prestige with load after load of crappy games, lousy quality control despite massive user complaints, and just plain unwanted advertisement and services. Where is the choice people? You can choose to either hunt the games down via Amazon or other places, use emulators (legality does apply) but if you want to do it the right way, there is no choice with this disk but to sit through an eternity with Steam and hope the games work. Its of course your choice, and maybe you like Steam, if you do great 🙂 this is just my opinion and you know how opinions are. But if you do not want a service with your games, avoid this game compilation and look for the various Atari 2600 retro consoles with 100 games or more, they don’t need a service, and you stay legal as well. Win win.